We had a good turnout of coworkers from the Assembly for both the parade and the Street Fair. For the parade, there were 7 or 8 people walking down the street on each side of the ark handling out approximately 1200 seed sower packets to the crowd. The packets were well received. The younger children had fun handing out candy along the route. The judges were very impressed giving us 1st prize in the float division. The street fair was also a great opportunity to share the gospel with the many people that visited the ark. We had a 10 X 30 space which gave us room for a gospel table with seed sower packets, gospel tracts, booklets and magnets on it and another table for doing crafts with the children. The crafts were in conjunction with the ark. The ark is certainly a great tool to draw people in, providing opportunities for conversations and giving out literature. It is also an encouragement to other fellow Christians who are excited and happy to see the gospel available to the community. Because the ark is a new addition to our summer outreach activities, we assist the Christians in the ordering of suitable tracts, Seed Sower packets and any special printing requirements tailored to the needs of each Assembly, etc. We prepare most of the kids’ packets for the craft table and have people from the Assembly do the Seed Sower packets. 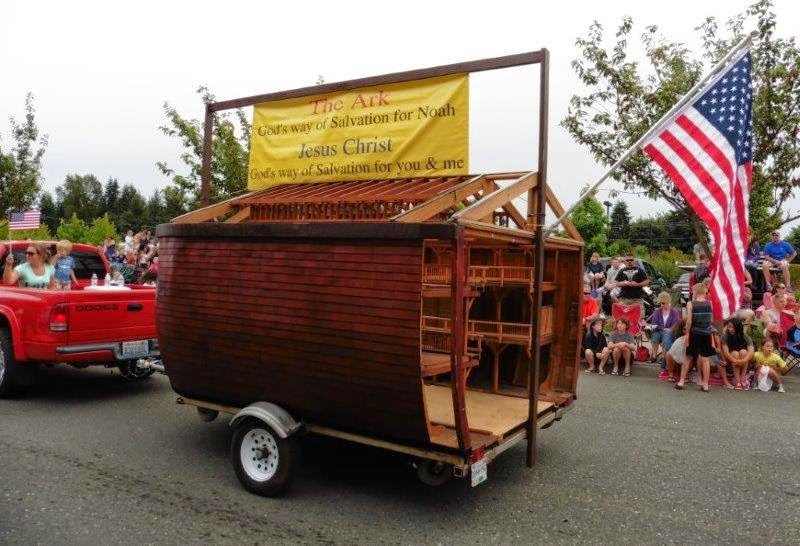 A special thanks to Dave Smith, Deep Cove, BC and those who helped him build the ark. 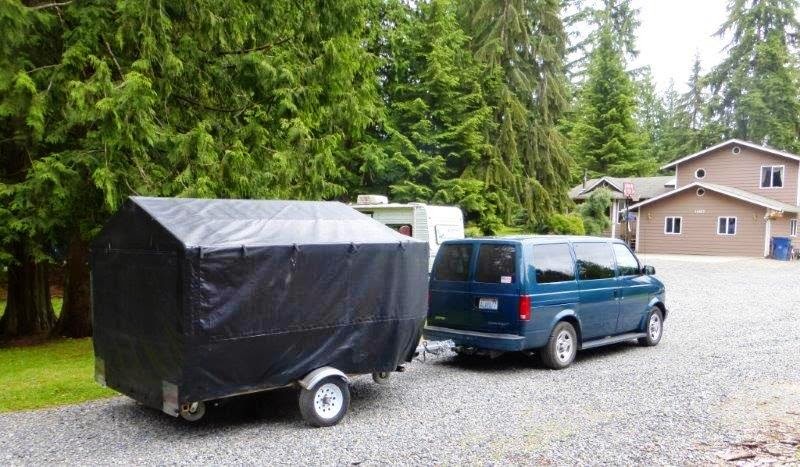 It is very easy to transport and equally easy to set up. We get many compliments on the workmanship from both saved and unsaved alike. 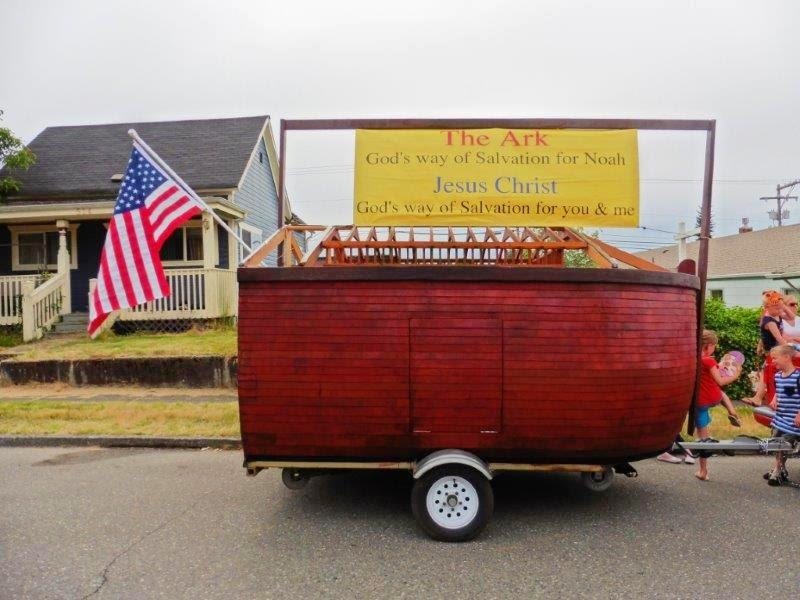 We plan to have the ark at the Lynden WA Fair in Aug. for one week in connection with the Lynden Assembly. 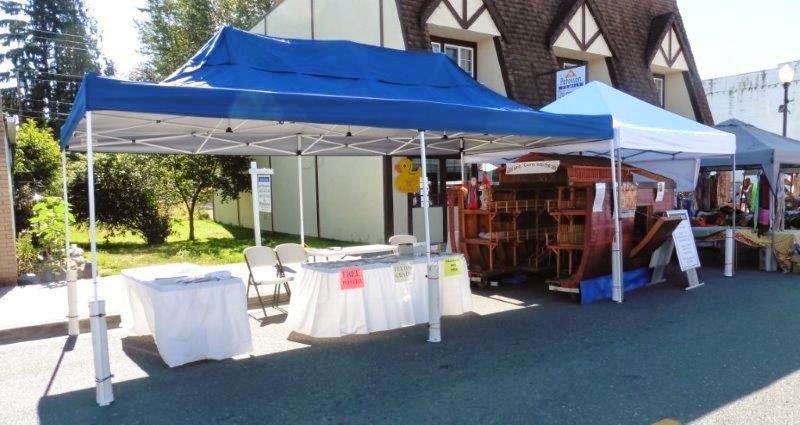 Then in the first week of Sept. we will be at the Okanogan WA Fair working with the Assembly there. The following week we will be at Rock Creek B.C. working with the West Bank Assembly.